We purchased the Defender system because of the many great reviews of their Customer Service. In particular, we read of how helpful they were and the name Michel was mentioned several times. Well, we needed help and would you believe, Michel was the one to help us. Thank you Michel, your patience and helpfulness were just what we needed. I I bought this Pro widescreen System about 9 months ago .System was easy to install and I now have it linked to my smart-phone .With a 2 TB DVR I leave it recording 24-7 .System is a great value and they have great support. My daughters car was vandalized while parked next to the garage recently. The helpless feeling of not knowing who did it was overwhelming. So, after much research I decided on this system as it seemed to offer the best viewing and recording for the money. Setup and navigation were pretty straight forward. Pretty much a plug and play system. The only exception being the work needed to conceal the cables under vinyl siding and through the walls into the house. I like the fact that that the cameras not only see well, but are a little larger and noticeable on the house. I feel this is a nice deterrent feature. I let the system run all 4 cameras 24/7 at the highest resolution setting and the record time before it starts to overwrite is about 40 or so days. When I get up in the morning and water the tomato plants out back and the flowers out front, I check for any signs of theft or property damage. If I find any I look at the recording to see how it happened. So far nothing has happened. If the system continues to operate this well for a long time I will be very satisfied. Just installing it seems to have already stopped interlopers from coming onto my property. The only thing I am not excited about is that the recording play back is slightly less clear than the live viewing mode. But, when your compressing that much image data you're going to loose a little clarity. Still a good system for the money. bought a second system for home, after getting them for work. awesome- caught lots of things you might otherwise miss!!!! Know what is happening at home or office, even if you are out!!! 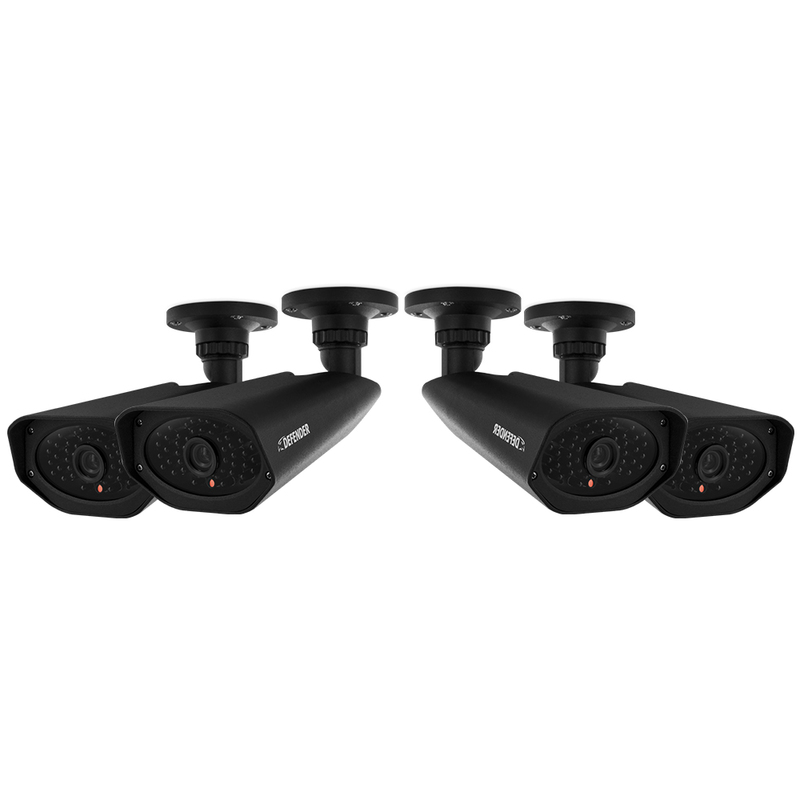 This is an updated review as I just upgraded from a 4 channel system (model 21158), to an 8 channel system (model 21160) to cover the blind spots in my back yard. My daughters car was vandalized while parked next to the garage recently. The helpless feeling of not knowing who did it was overwhelming. So, after much research I decided on this system as it seemed to offer the best viewing and recording for the money. Setup and navigation were fairly easy. Pretty much a plug and play system. The only exception being the work needed to conceal the cables under vinyl siding and through the walls into the house. I like the fact that that the cameras not only see well, but are a little larger and noticeable on the house. I feel this is a nice deterrent feature. I let the system run all 8 cameras 24/7 at the highest resolution setting. When I get up in the morning and water the tomato plants out back and the flowers out front, I check for any signs of theft or property damage. If I ever find any I look at the recording to see how it happened. After being in service for less than a week, we've already caught another pair of vandals running through my back yard and then moving between the houses and destroying my neighbors lawn furniture. If the system continues to operate this well for a long time I will be very satisfied. Just installing it seems to have already decreased the flow of interlopers from coming onto my property. The only thing I am not excited about is that the recording play back is slightly less clear than the live viewing mode. But, when your compressing that much image data you're going to loose a little clarity. Still a good system for the money. I bought 2 of these units. I replaced my 16 camera unit with these and they are so much better. You can't beat the 800's. Picture quality is great and setup is easy. The WS is very chrisp and covers a lot of area. 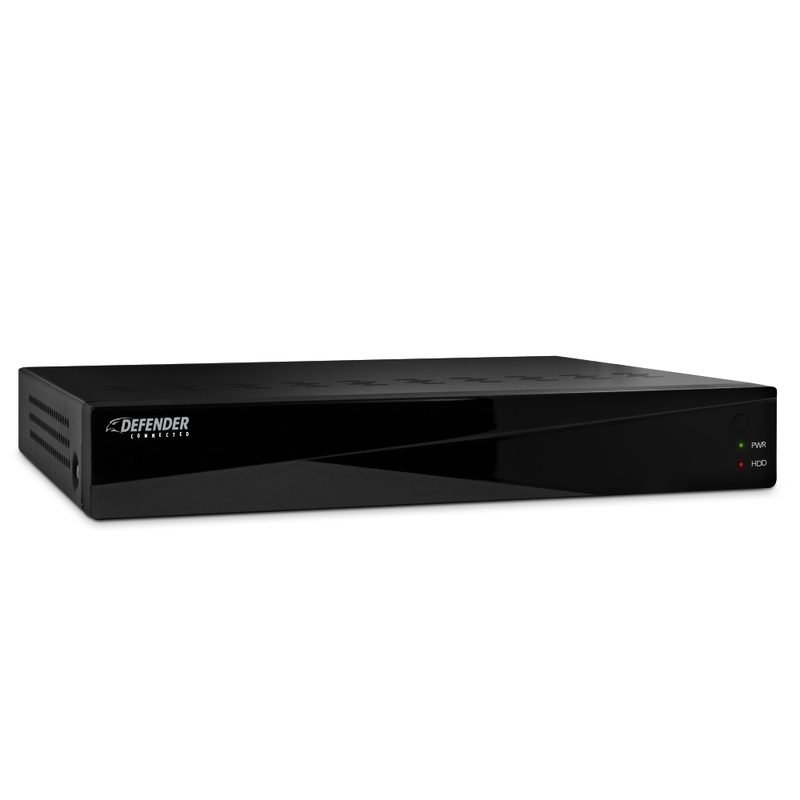 Very happy with the Sentinel PRO Widescreen 21161 16CH Security DVR System. I'm glad I purchased 2 units. I used one of the recievers for my old 600 cameras and it made them better. The extra 1 year warranty Defender offers is great. I am going to purchase another 8 camera unit for another location. This product is the best and would recommend it to everyone as a great unit for any security project. The customer service is excellent and very helpful. I received my Defender 21159 four camera system on 8/8/14. I tested the system and found one camera did not work. I immediately contacted CWD, the distrtbutetor for Defender. I was told that the quickest way to get a replacement was to buy one and send the defective one back for a refund. That took more than a month, very poor customer service. We are very pleased with our Defender #21160 Security System. Set up instructions are very clear and easy to follow. CWD Support is GREAT!! We would highly recommend Defender.